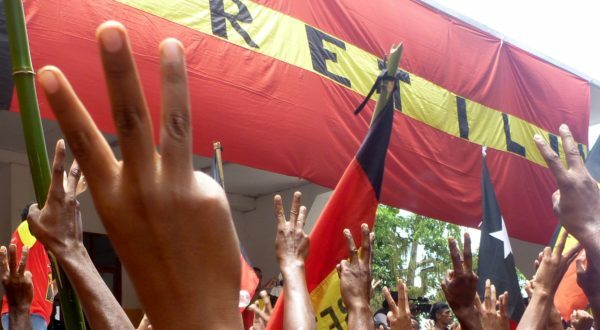 What’s Next for Timor Leste? Timor Leste recently held successful democratic elections, but will this bring stability to a fragile and malnourished nation? Just over one month ago, on 22 July 2017, Timor Leste celebrated a landmark achievement: the country’s first ever national parliamentary elections to take place without the supervision of the United Nations. Timor Leste gained its independence from Indonesia only in 2002, and is the youngest democratic nation in the world and the newest sovereign state of the twenty first century. 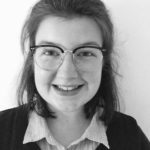 After months of passionate campaigning during the nation’s fourth election in its short history, approximately 750,000 out of a population of 1.2 million registered to vote and the final voter turnout was approximately 583,000. One fifth of these were first time voters. Timor Leste has since been ranked the most democratic nation in Southeast Asia on The Economist’s latest democracy index. Of the 21 parties to run for election, 5 gained parliamentary seats. The 65 seats are now shared between FRETILIN: 25 seats (Revolutionary Front for an Independent East Timor), CNRT: 22 seats (National Congress for Timorese Reconstruction), PLP: 8 seats (People’s Liberation Party), the Democratic Party: 7 seats, and KHUNTO: 5 seats (Kmanek Haburas Unidade Nasional Timor Oan). The FRETILIN and CNRT parties had been leading a de facto ruling partnership since 2015. When the polling results were first announced in late July, much of the political commentary hailed a ‘victory for the status quo’, suggesting that FRETILIN and CNRT would likely continue ‘business as usual’. Secretary General of FRETILIN and former Prime Minister Mari Alkatiri announced: “now we look forward to guaranteed stability, ongoing development and to bring people out of poverty.” The general political mood in Timor Leste was one bursting with positivity and democratic pride. But as time has ticked on since July, this optimism has waned. It was known at the time of the polling that a final official vote count would not be known until at least mid-August, and the members of parliament had until August 21 to negotiate a coalition government. As time passed, Timorese news sources were becoming less confident that FRETILIN and CNRT would go about ‘business as usual’ as speculation began about the role that the three smaller parties would play, and it was suggested they might want to be involved in a governing coalition. The Australian Institute of International Affairs reported that ‘two of the three minor parties – the Democratic Party and KHUNTO – are signalling a willingness to join a larger coalition.’ The Asia times suggested the minor parties might form an opposition bloc within parliament, but the Australian Institute speculated the PLP would be more likely to opt for an opposition stance as this fits with the leader’s (Tuar Matan Ruak) awareness about the importance of holding governments to account. Timor Leste is still in its very early days of democracy and its people should absolutely be applauded for their efforts towards peace, but the international community must not assume all is now well. Although described as the most democratic national in southeast Asia, Timor Leste is still ranked as the 35th most unstable country and there is a significant risk of state failure due to over reliance on oil revenues. There are positive signs of foreign investment, a growing democracy, and the intention to join the Association of Southeast Asian Nations (ASEAN), but ‘persistent high levels of malnutrition threaten to impede efforts to reduce poverty, capitalise on gains in human and skills development, increase productivity, and stimulate economic growth’. HART will continue to monitor the situation in Timor Leste and provide updates via social media where possible. Please see our twitter page for updates on the election news. Our HART partner HIAM Health provides care for malnourished children and health and nutrition training and education for parents and carers. Please see our website and the HIAM Health website for more information.